Who was the antique furniture maker Thomas Chippendale (1718 to 1779)? Thomas Chippendale is probably the best known British cabinetmaker. He was a leading British cabinetmaker whose work was extremely influential during the early Georgian period. It was widely copied and imitated in later years. Thomas Chippendale was born in Oatley, Yorkshire in 1718 into a family of carpenters. Not much is known of his early life and career. In 1748, at the age of thirty, he settled in London where married Catherine Redshaw and worked as a cabinet maker. Later on, in 1753 he moved to St.Martin’s Lane, where he had workshops and a timber yard. He lived there for the rest of his life. In 1754 Thomas Chippendale published The Gentleman and Cabinet Makers Director (1754; 2nd ed. 1755; 3rd ed.1762) or widely known as The Director. This made him the first furniture maker to release a book with his designs and undoubtedly gained him a wide popularity, establishing Chippendale as a household name. Nothing on such a scale had ever been published before in England or elsewhere. Almost every type of indoor furniture was illustrated in it. The designs were predominantly French Rococo in style, including Neo-Gothic and Chinoiserie, known as Chinese Chippendale. In a later edition, he also added Neo-Classical styles. The book and its designs were widely copied by other cabinetmakers, which further cemented his fame. He specifically claims in the preface of The Director to have made most of the designs himself, and it seems likely that he did so, especially for the case pieces. However several of the designs have clearly borrowed from both Continental and English pattern books. From a very early stage, Thomas Chippendale gained such a success, that he no longer needed to produce the furniture by himself. For much of his career, he was mostly occupied with running his very extensive business, rather then cabinetmaking himself. By 1755 he already had 40-50 employees as cabinet-makers, upholsters and carvers working in his workshop, while his attention was predominantly focused on inventing new designs, attracting new clients and managing the business. In 1754 Chippendale took into partnership James Rannie who was a wealthy Scottish merchant willing to invest in the firm. They remain partners until Rannie´s death in 1766. In 1771, the accountant Thomas Haig joined the firm, which then became Chippendale, Haig and Company. The Chippendales firm undertook the complete furnishing and decoration of large houses such as Nostell Priory and Harewood House. Haig left the company 25 years later when he retired in 1796. After Chippendale’s death in 1779, the firm of Chippendale and Haig was carried on by his son. Thomas Chippendale the Younger (1749-1822) worked mainly in the Neo-Classical and Regency styles. He was able to maintain the firm’s high level of craftsmanship for two decades, but unfortunately, he went bankrupt shortly after in 1804. However, he appeared to have recovered quickly and resumed his furniture business, continuing to supply some of his clients until around 1820s. 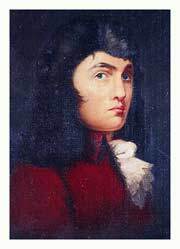 Thomas Chippendale not only turns into the most famous English cabinet maker of all time but furthermore, he came to be known and hugely priced among the American colonies.